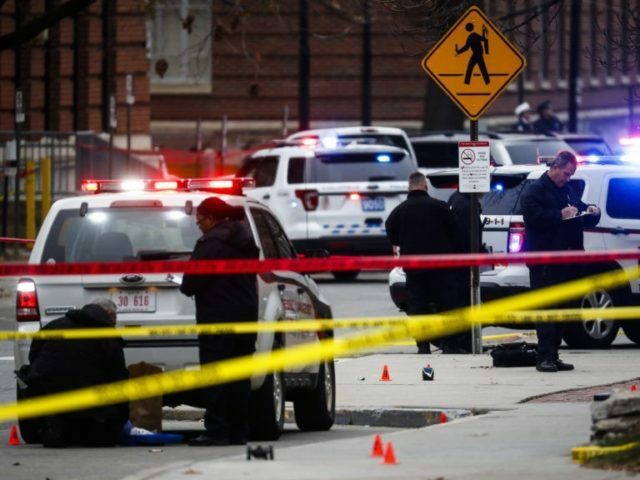 Somali immigrant Abdul Razak Ali Artan is alleged to have carried out an attack, injuring 11 until he was eventually shot dead by police. It mirrors similar, cherry-picked journalism Breitbart used to cover another attack carried out by a Somali-American in Minnesota earlier this year, in a wider campaign both Breitbart, and a larger segment of the establishment’s right cover are engaged in to reintroduce the Bush-era “clash of civilizations” narrative into the alternative media. Yet neither Abdul Razak Ali Artan’s status as an alleged “Muslim” nor his being a Somali refugee had anything to do with his alleged radicalization. “Radical Islam” is a synonym for the legions of armed terrorists and ideological extremists cultivated by the United States and its Saudi and Qatari allies since the 1980s. 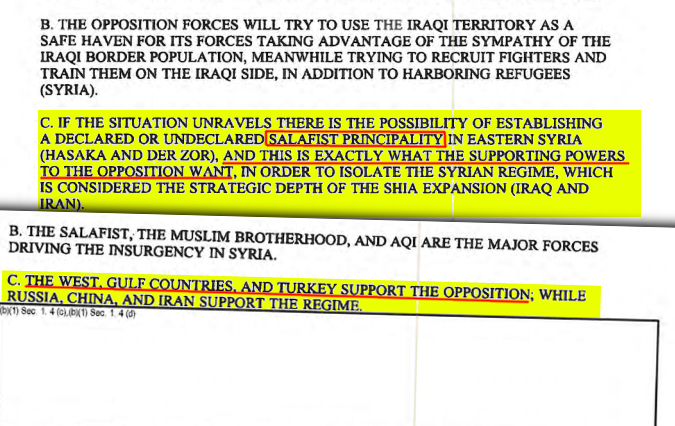 Forming up organizations including Al Qaeda itself and its offshoots including Jabhat Al Nusra in Syria and the self-proclaimed “Islamic State” (ISIS), these terrorists and ideological extremists have fought the proxy wars of the West and their allies from the mountains of Afghanistan to the shores of Libya, and everywhere in between. These legions of terrorists and ideological extremists have also played an integral part in justifying the construction of an unprecedented, Western-wide domestic police state that , while predicated on “fighting terrorism,” has been utilized to wage war on all enemies, foreign and domestic, of Western special interests. Regarding domestic terrorism in particular, it has been revealed that many “foiled” terrorist attacks have simply been Western security services entrapping and leading along suspects toward the execution of terrorist attacks. Often, at the last minute, firing pins are removed from weapons, and inert substances swapped with real explosives to avert successful attacks before dramatically arresting the suspects. In other incidents, successful attacks are carried out by suspects long-known to security agencies, some of whom have known ties to terrorist organizations and are known to be involved in terrorist activity, but are otherwise inexplicably allowed to operate freely until carrying out their attacks. Whether a “foiled” attack or a successful bloodbath, increased powers are transferred to Western governments while populations are further distracted and divided along religion, race, and politics, and indifference toward wars fought abroad grows. 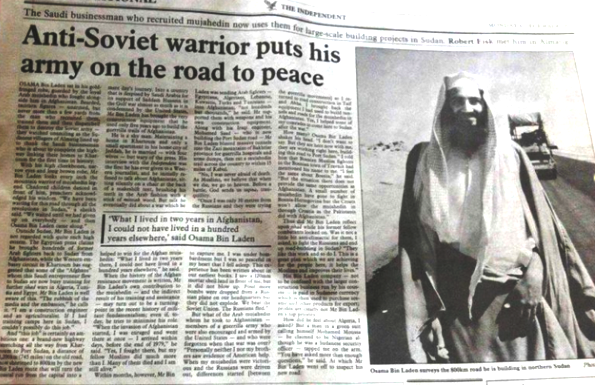 And while Breitbart attempts to insinuate ISIS may have influenced Abdul Razak Ali Artan, it should be remembered who cultivated and ultimately created ISIS as a strategic asset in the first place. 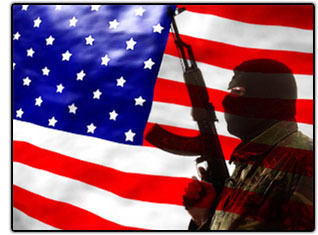 It has been through a torrent of billions of dollars worth of weapons, supplies, and US-NATO trained terrorists that have sustained ISIS’ fighting capacity over the last several years. When a Syrian-Russian-Iranian coalition began shutting down the Turkish-Syrian border over which the summation of ISIS’ supplies crossed, Turkey organized and implemented a US-backed invasion of a “buffer zone” within Syrian territory to ensure the last supply corridor remained opened. 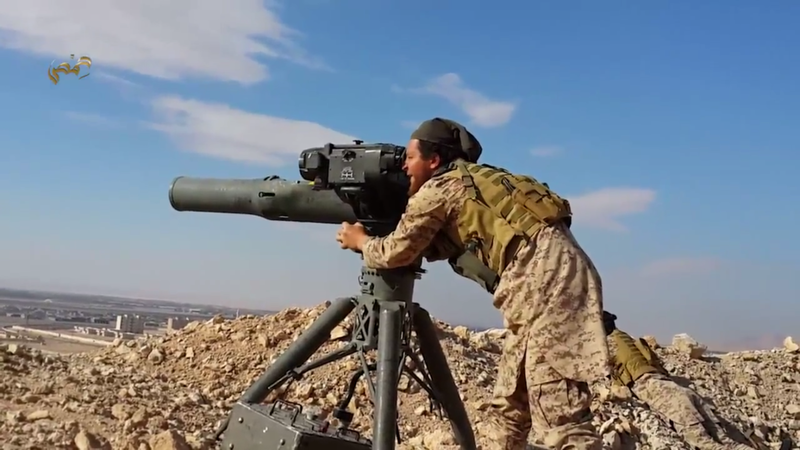 Image: ISIS terrorist wielding a US-made TOW anti-tank missile near Palmyra, eastern Syria. Saudi Arabia and neighboring Qatar’s state sponsorship of not only armed terrorist organizations, but also indoctrination centers established around the world is the other variable unmentioned by the likes of Breitbart in the “radicalization” equation. These centers, which could easily be differentiated from legitimate mosques by honest journalism and investigations by local law enforcement, their funding traced, and their facilities closed down, are instead used as recruiting centers – often right in the center of Western nations – to fill the ranks of Al Qaeda and ISIS, as well as manage and exploit extremists when they eventually return home. In addition to operating physical centers, they also produce an immense amount of propaganda used online, over radio waves, and on TV to attract and “radicalize” recruits. If Abdul Razak Ali Artan was influenced by ISIS and Saudi-Qatari propaganda, or inspired by the deadly exploits of terrorists waging war abroad, who is to blame but the state sponsors of ISIS and those nations who prop up the Saudi-Qatari regimes – a terrorist organization and two nations that would not even exist without the immense and constant supply of political support, cash, and weaponry provided to them both from abroad? Image: Shoulder-to-shoulder, literally, with Saudi state sponsors of terrorism, America’s “right” attend a rally in support of armed terrorist front, Mujahedeen-e-Khalq (MEK) which kidnapped and killed US military officers, US civilian contractors, and hundreds of Iranian civilians. Many of these characters are regularly interviewed and their views promoted by Breitbart. It is not “Islam” or “being Somali,” that allegedly incited Abdul Razak Ali Artan – if “ISIS” played a role in his “radicalization” – it was a toxic, geopolitically-motivated ideology created for the sole purpose of filling the ranks of a global mercenary force – not to achieve “Islamic hegemony,” but to augment America’s existing hegemony and threaten the influence, even the existence of America’s global competitors. Perhaps the most tragic irony of the establishment’s attempt to retrench its talking points within the alternative media through cognitive infiltrators like Breitbart is that the majority of the Islamic World is victim to, not benefiting from such extremism. It is the sons and daughters of Muslims serving on the front lines fighting extremists in cities like Aleppo, the edge of Damascus, and across Libya and Iraq. Meanwhile, Breitbart’s editors sit comfortably at home, fulfilling US communication strategist Cass Sunstein’s dream of infiltrating and disrupting the alternative media – diverting attention away from the real money and power driving terrorism, and instead implicating Islam – as if US-made TOW anti-tank missiles were summoned from the pages of the Qu’ran, and not delivered from an armory in Saudi Arabia, stocked by their American allies – including those Americans who regularly appear in Breitbart interviews.